Hardcover, 6.5 x 8.75 in. / 192 pgs / 200 color / 10 bw. 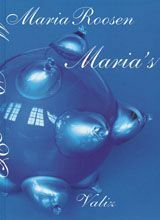 Glass breasts, penises dangling from strings, hand-knit sunflowers, toilets decorated with hunting scenes, the images in Maria's bring readers into Dutch baby-boomer Maria Roosen's lyrical and mischievous artistic universe. She has designed slippers for a giant and made an outsized rosary for a medieval statue, and frequently smuggles her cheekier work into everyday life by combining it with existing objects--nestling a pair of glass breasts in a Chesterfield chair, tucking two more into bed, and anchoring a pale orange tent with a series of louche-looking blown-glass pitchers. Her evocations and provocations of masculinity and feminity, in sculpture, installation and works on paper, in uncommon materials and a wealth of sensual forms, echo and challenge artists such as Eva Hesse and Louise Bourgeois. 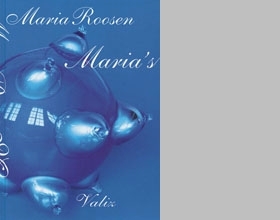 Maria's tracks Roosen's work of the last seven years, and includes highlights from further back, ranging from the intimate to the monumental. FORMAT: Hardcover, 6.5 x 8.75 in. / 192 pgs / 200 color / 10 b&w.